0 - 2600 RPM Speed Range. Regenerative Speed Control.. Ultra Fast Speed and Direction Changes. Low Voltage Switching for maximum reliability. 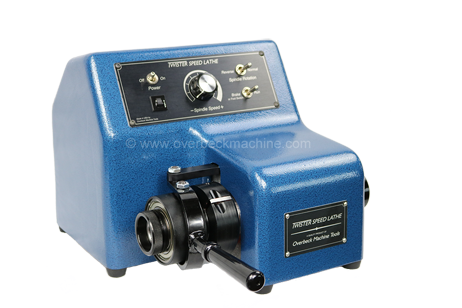 It has a speed range from 0 to 3,500 RPM and is used for polishing very small parts. Due to the higher speeds involved this option results in slightly longer start / stop cycle times as well as slightly elevated spindle sound levels. The spindle speed can be controlled through both the machine front panel and its special foot switch. This frees up both hands while still having precise control of spindle speed. 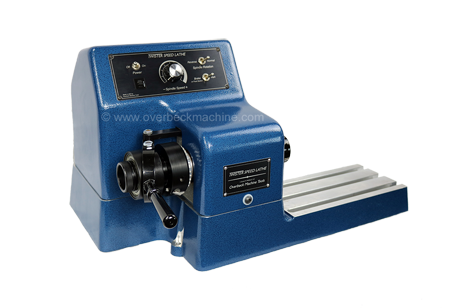 This Model offers a speed range from 0 to 800 RPM and has the highest torque of all of our models. It uses a 1/2" wide toothed belt and pulleys for no slip.